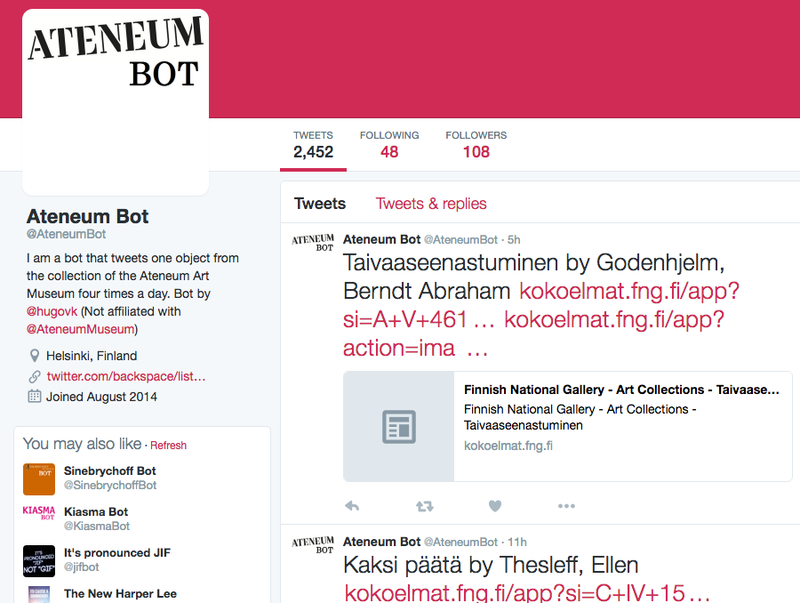 Tweets art from Ateneum Art Museum four times a day. 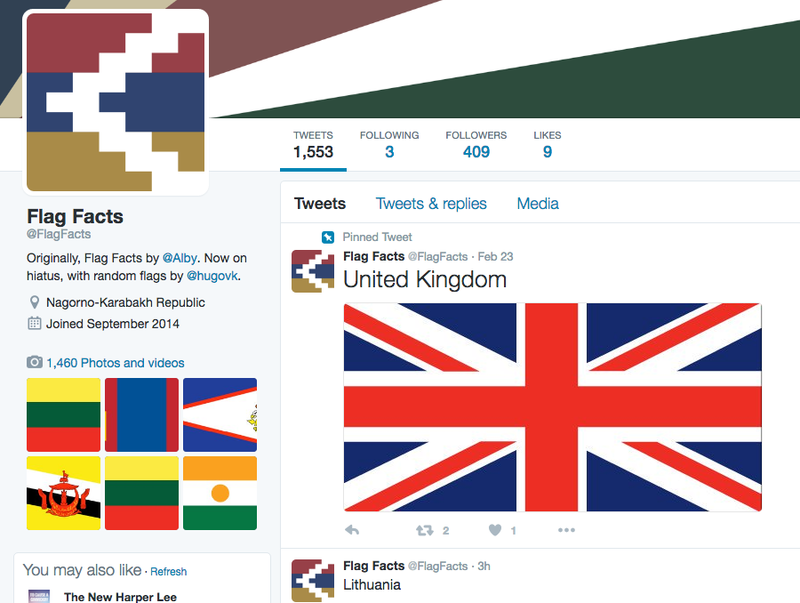 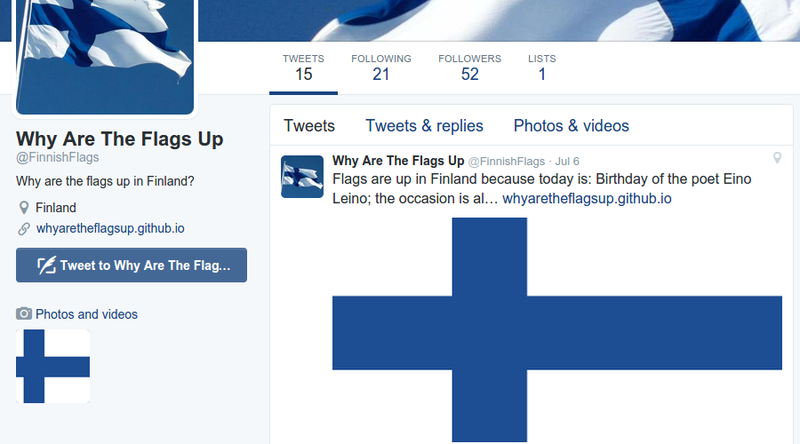 Why are the flags up in Finland? 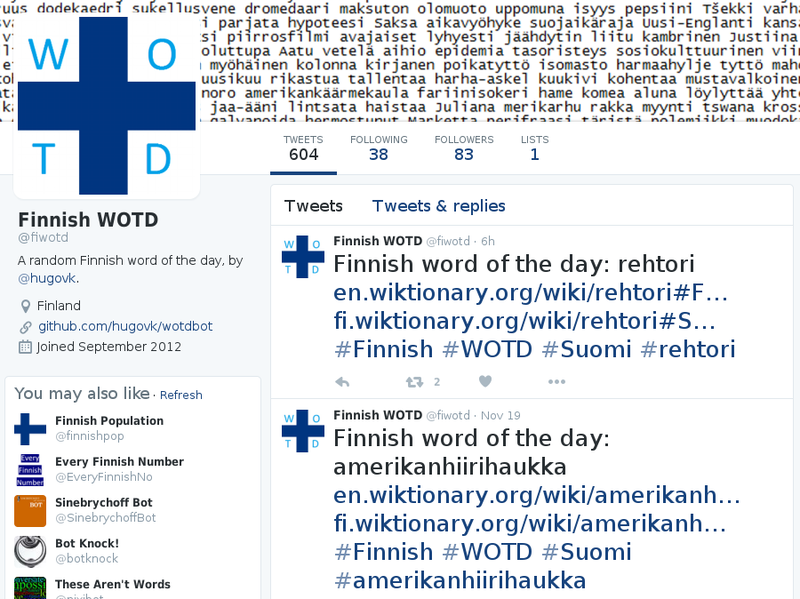 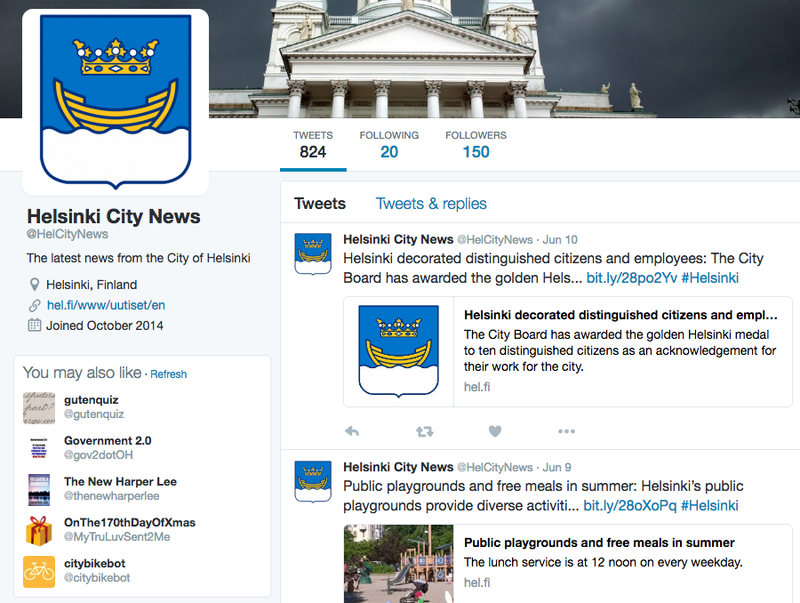 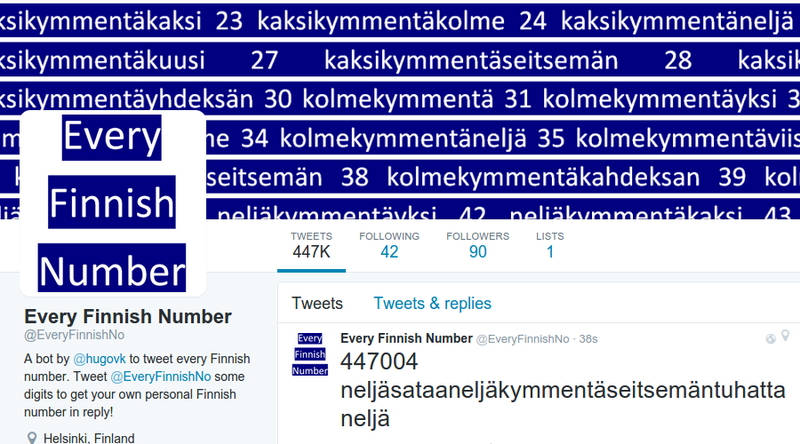 Feeding City of Helsinki news into Twitter. 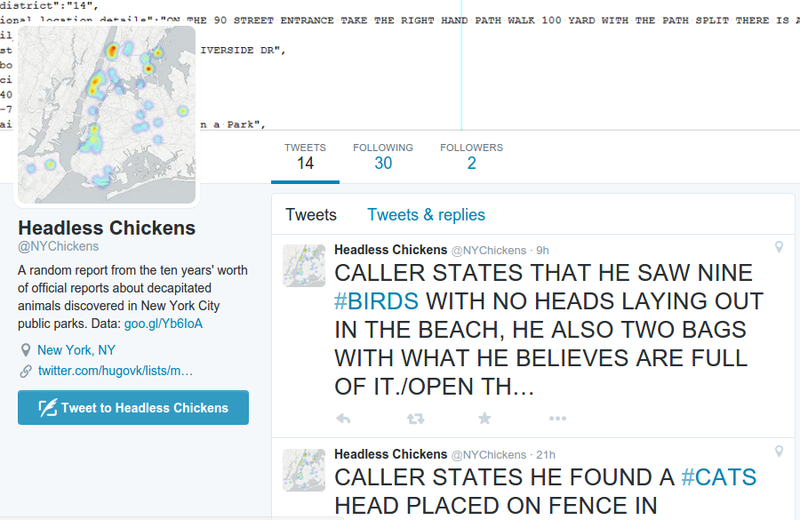 "Caller states that while walking his dog in the park they came across either a dead turkey or chicken with the head off." 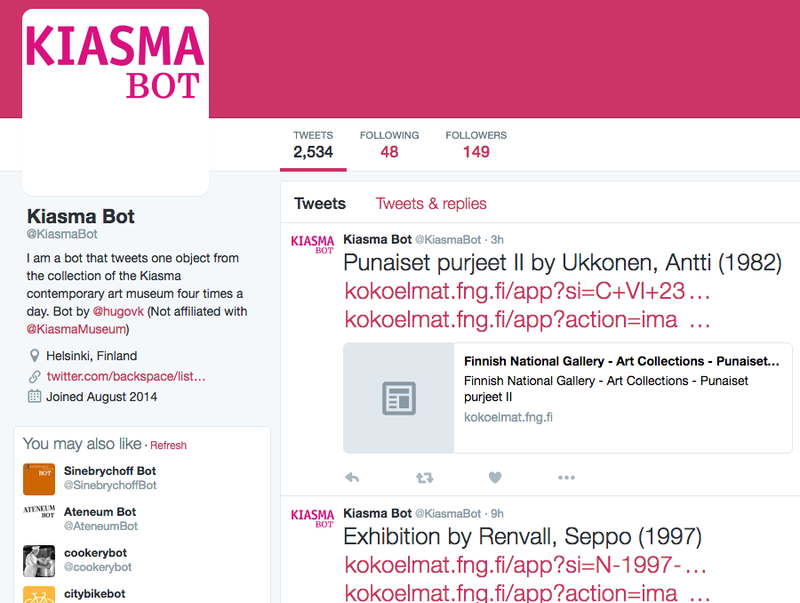 Tweets art from Kiasma Kiasma contemporary art museum four times a day. 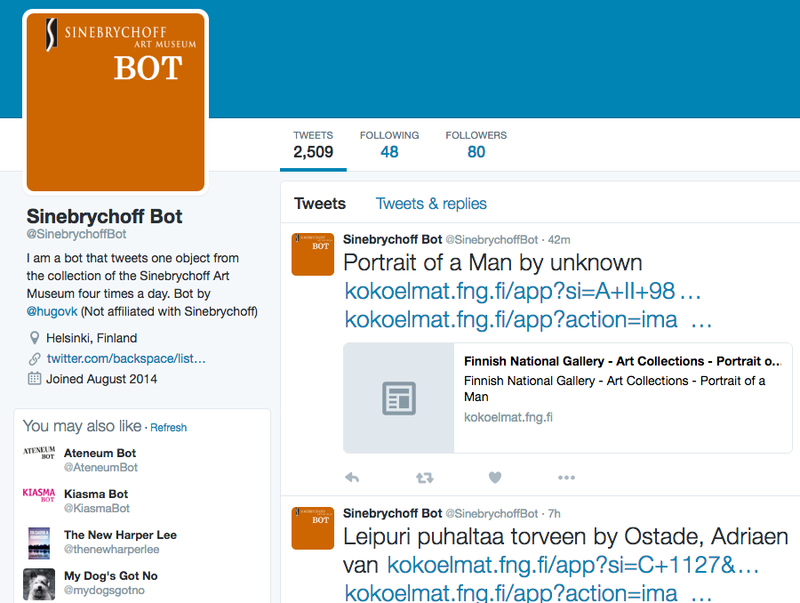 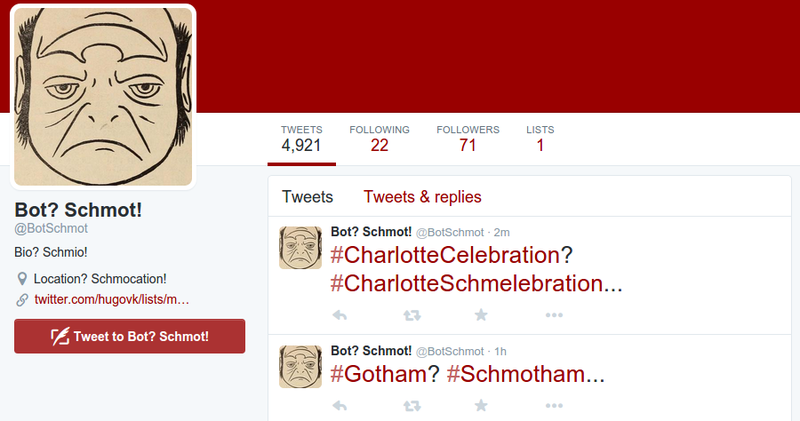 Tweets art from Sinebrychoff Art Museum four times a day. 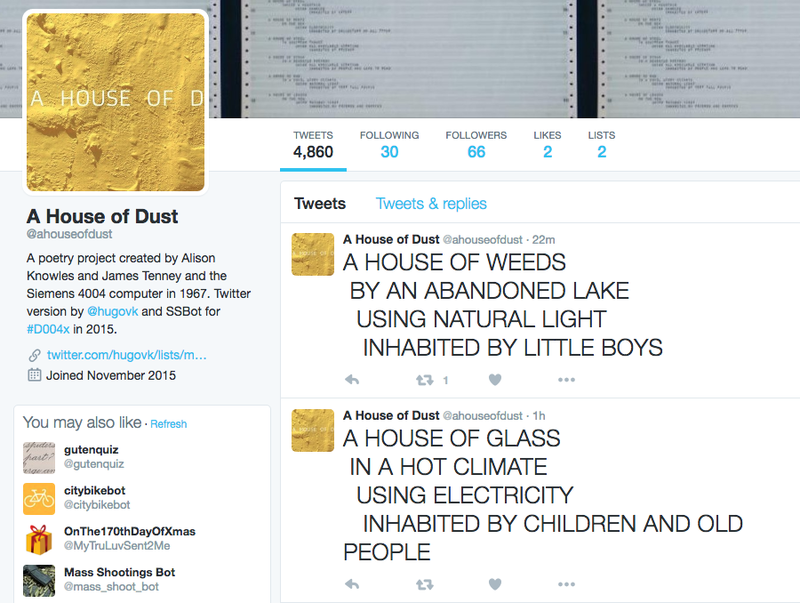 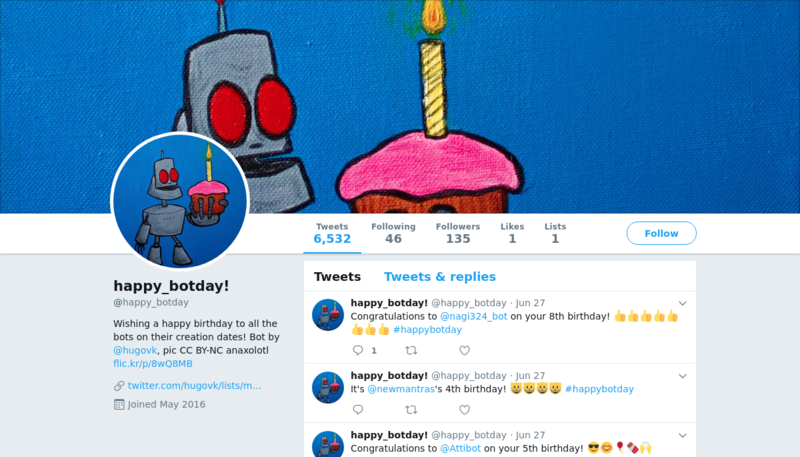 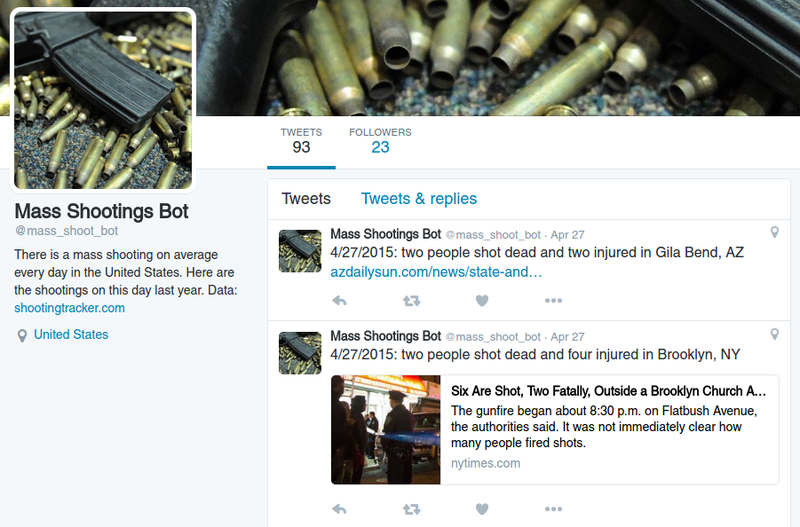 A 1967 poetry generator revived for Twitter. 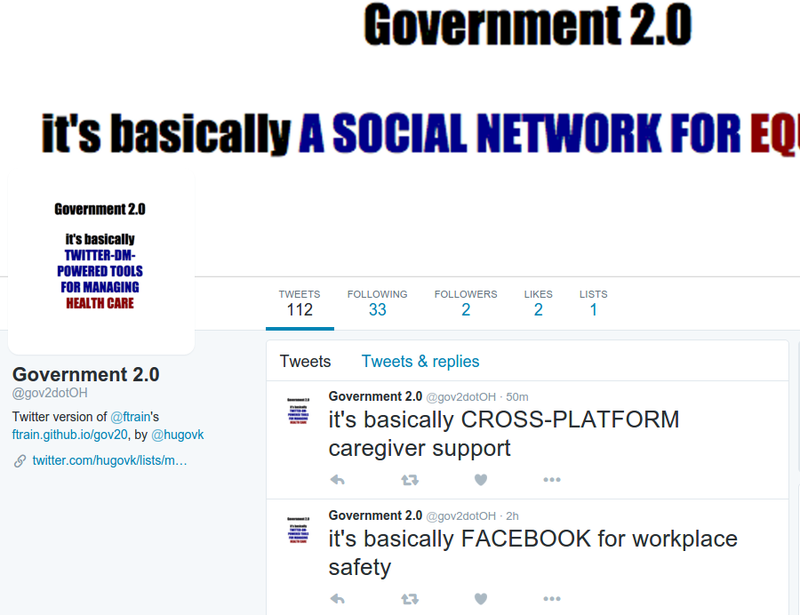 "It's basically a social network for welfare." 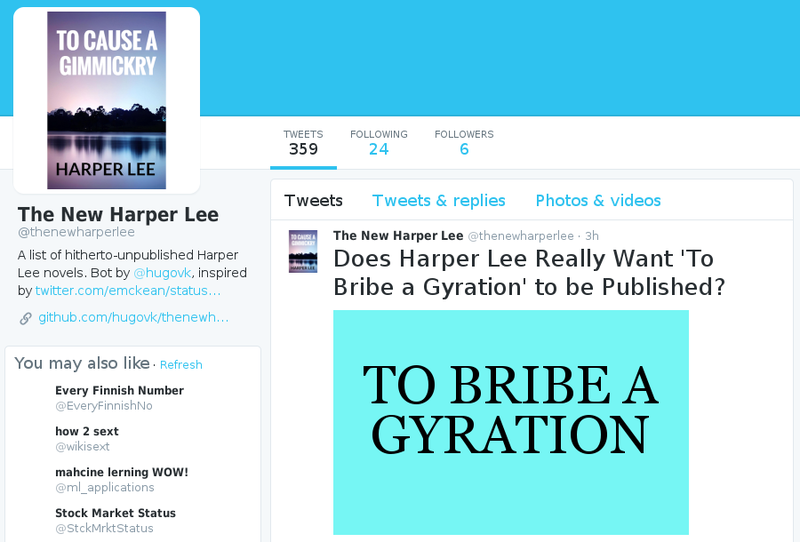 Tweeting a mix of hip hop and classic literature. 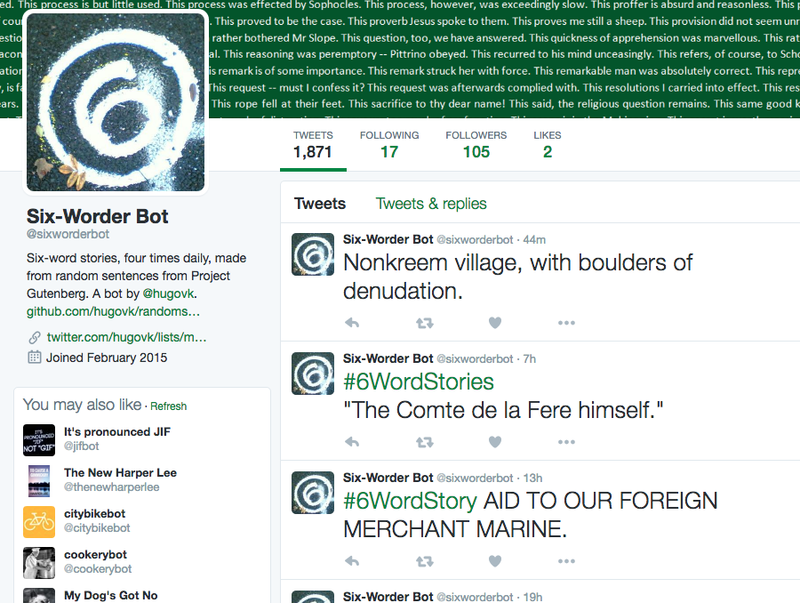 Welcome to 1869! 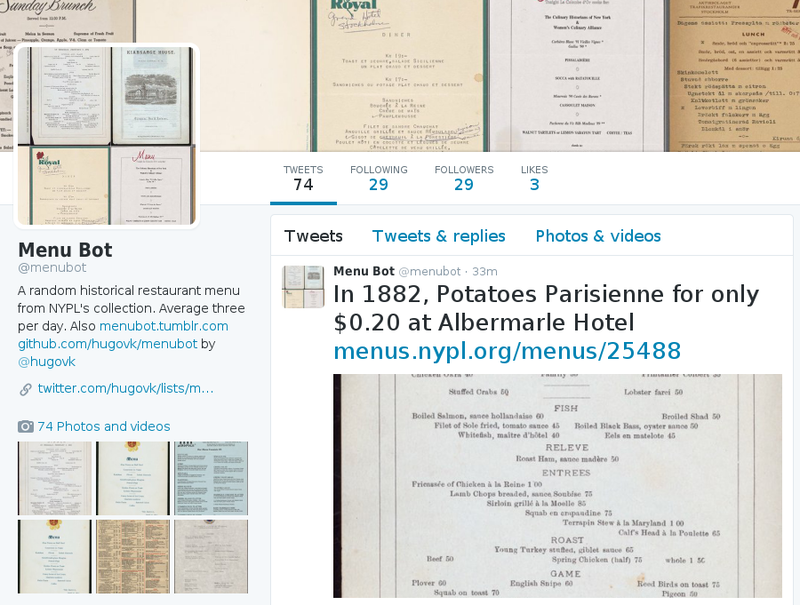 Why not enjoy some Glaces variées at A Stockholm Restaurant? 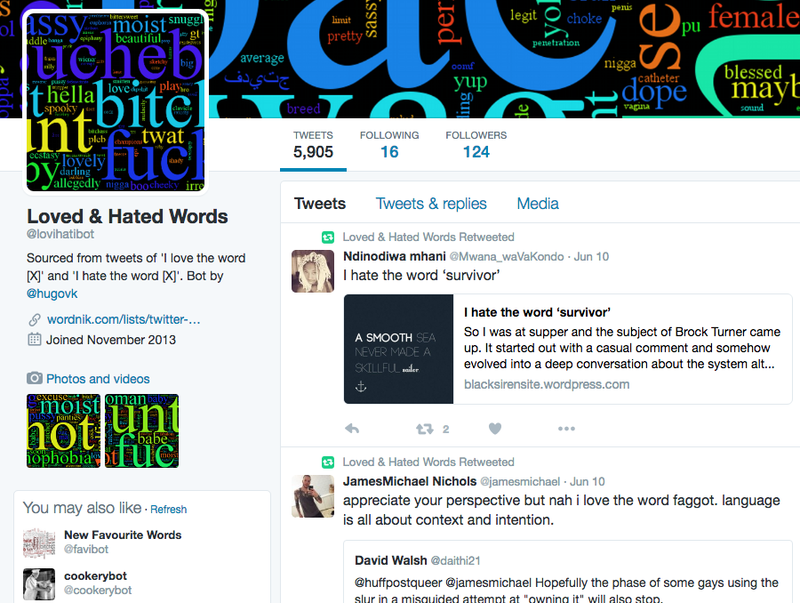 Sourced from tweets of 'I love the word [X]' and 'I hate the word [X]'. 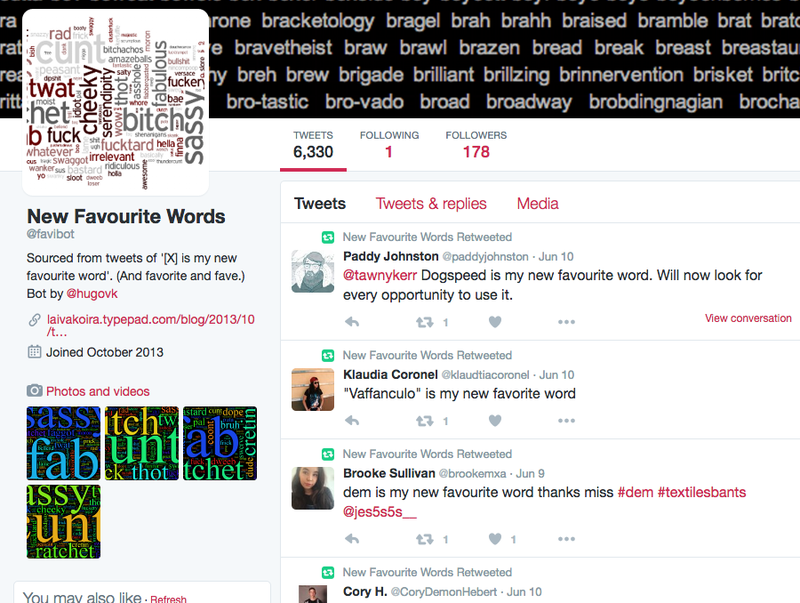 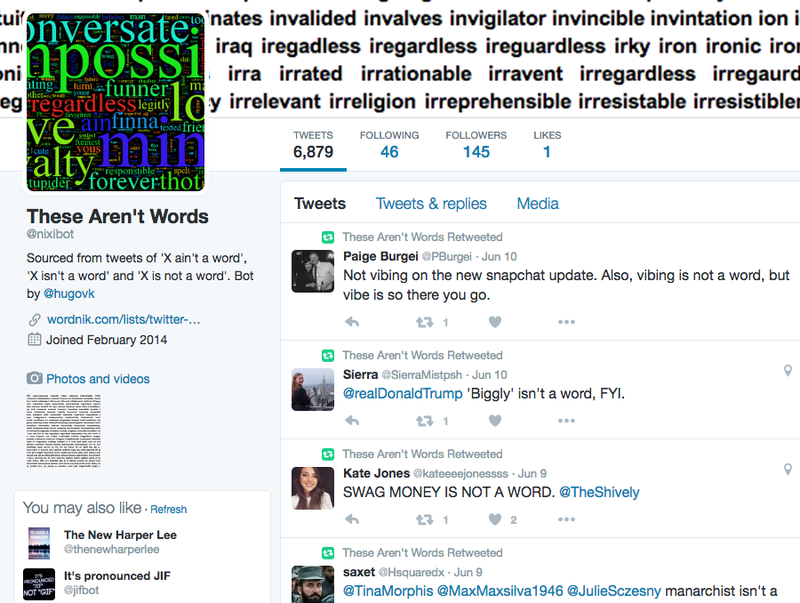 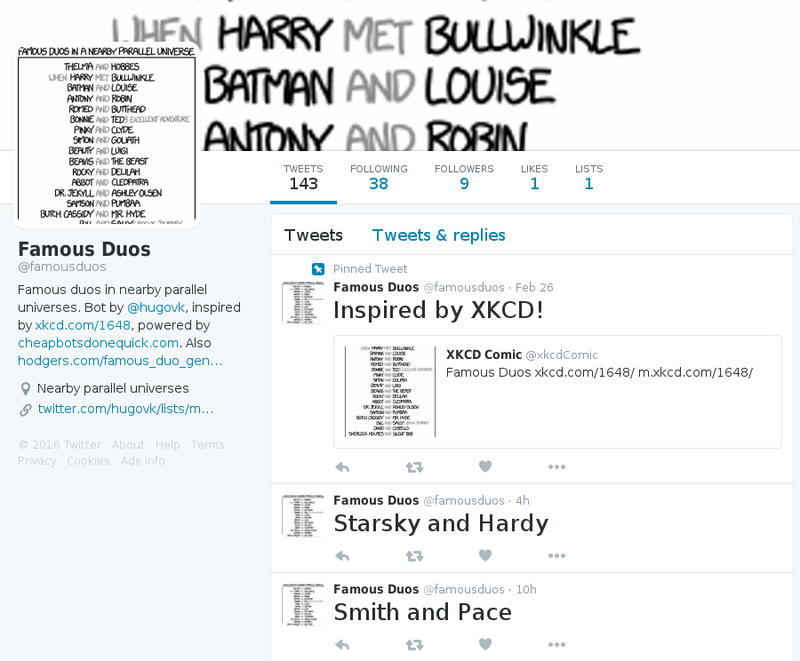 Sourced from tweets of 'X ain't a word', 'X isn't a word' and 'X is not a word'. 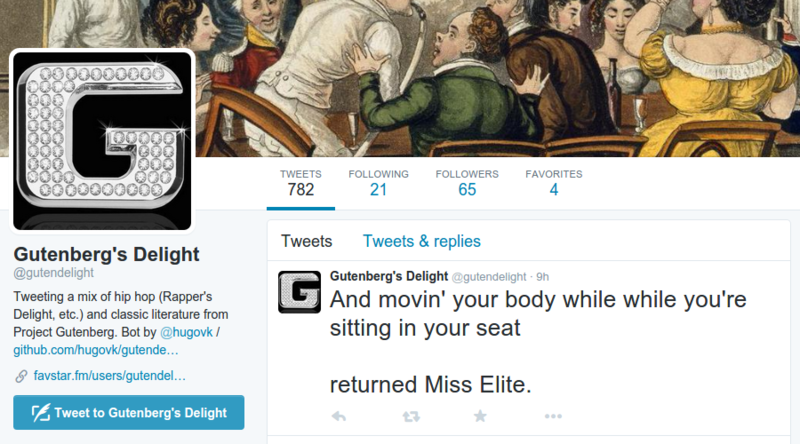 Six-word stories from random Project Gutenberg sentences.